Why are we doing Screed Education Month? After the success of our Shotblasting Education Month in April, we've decided to continue the series and teach about another one of our signature products, our vibratory screed line. With many years of experience in manufacturing and using screed, we want to challenge misconceptions about screeding, provide practical education, and show you how effective screeding can take your business to the next level. Based on the chart above, a One Man Vibratory Screed (OMVS) has many benefits over hand screeding with a 2x4. It does a slightly better job of leveling, but a considerably better job of consolidating. Vibration is the key to dispersing aggregate and filling air pockets, thus the end result is a stronger, more uniform slab. You will also note that an OMVS has little benefit over a hand screed when it comes to screeding on form. Both methods work well on form but wet screeding is a different story. Trying to hold a conventional board level without guidance on either side can be difficult to say the least. The sawing motion required is also much more difficult. The basic operation of the OMVS allow it to almost float on the concrete which makes the process that much easier. Not only that, but (as stated) it does so while giving excellent consolidation. 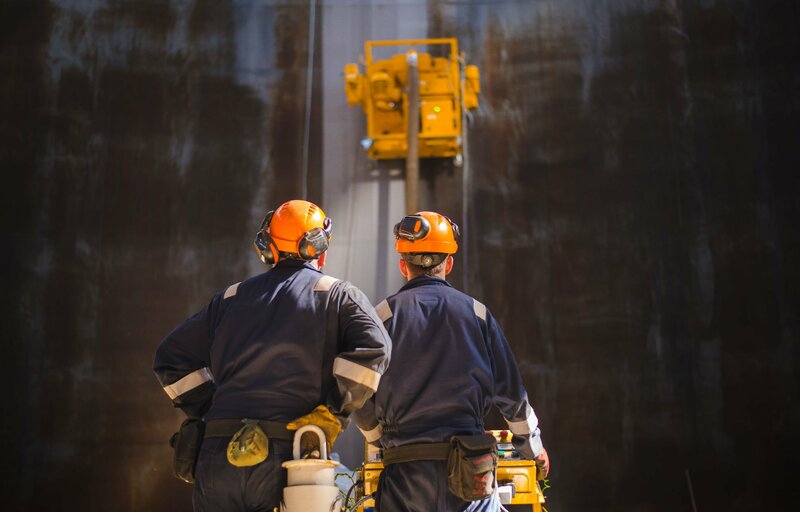 LESS WORK, FEWER LABORERS, MORE CONSOLIDATION, AND BETTER EASE OF USE. Clearly, the initial cost of a OMVS substantially higher than a 2x4, but the labor savings will end up saving the contractor money overall. The average street price of our Uniscreed with a 12’ beam is around $2,000 USD. But, that being said, one man can operate it which saves (at least) another man's labor. The OMVS also screeds considerably faster than screeding by hand, allowing you to finish the job faster. The amount of labor savings will be determined by the size of the job, but most of our users say it pays for itself in less than a season. 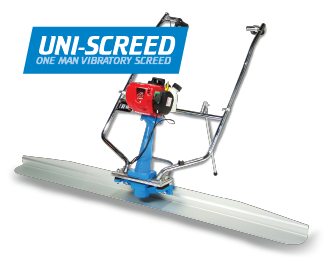 For less work, fewer laborers, more consolidation, better ease of use, wet screeding, and an all-around better experience, it's easy to see why the One Man Vibratory Screed is a favorite among contractors. A bigger job, though, would require something more akin to a Truss screed. Next week we'll be challenging misconceptions and laying to rest everything you thought you knew about truss screeds. Sign up for Contractor HQ if you want this great content delivered straight to your inbox!